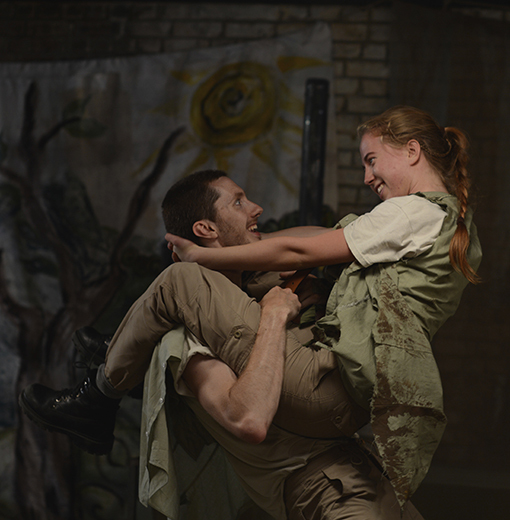 Greek repertory season of Aristophanes' Lysistrata and Euripides' Rhesus, performed in a London docklands warehouse. Created with first-year students of Fourth Monkey Theatre Company's full-time 2-year theatre training programme (27 actors). 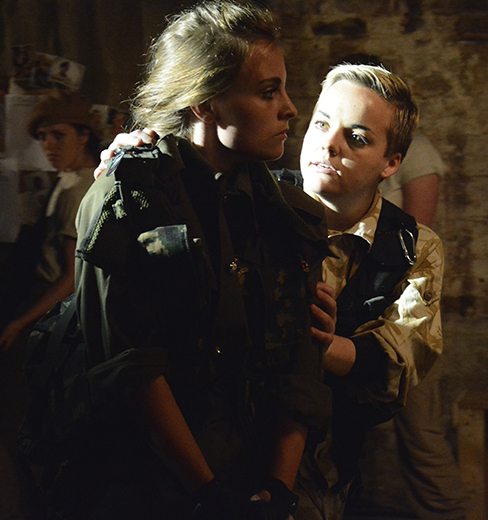 "Lysistrata is a play that was designed to make people think about the impact of war, but Fourth Monkey's interpretation leaves you in such shock that it's impossible not think about what you've just seen."